I had one experience with Diane Setterfield’s novels and that was Bellman & Black way back in 2013. I wasn’t terribly impressed with the book and I was so sad because I wanted to love it so very badly. I mean it sounded right up my alley and I was reading it as my ‘scary read’ for October so I was even more disappointed in it. At the time I wanted to read her other novel, The Thirteenth Tale, but I was just so let down that I didn’t want to risk being disappointed again. So flash forward five years…..since reading this Bellman & Black, I have thought of her other book off and on but just haven’t gotten around to reading it. Then I was approached to read Once Upon a River and I was actually super excited. By all accounts and descriptions, all of her books should be something that I would love. I was eager to try out another one of her books, especially because I had already heard quite the buzz happening around this book which made me excited. And let’s just say the only regret I have with this book is that I didn’t start it sooner! Replete with folklore, suspense and romance, as well as with the urgent scientific curiosity of the Darwinian age, Once Upon a River is as richly atmospheric as Setterfield’s bestseller The Thirteenth Tale (summary from Goodreads). So as you can see, there wasn’t a whole lot to go on when it came to summary for this book. It appears that maybe the publisher was hoping that the name Setterfield would draw readers because The Thirteenth Tale was so popular a few years ago. I think that this approach worked pretty well. I mean it’s not like Setterfield puts out a novel every year and the success of—at least her first novel—would be enough to make me want to read it and I kind of liked the cryptic-ness of the description. So in essence, I went into this one blind-ish. Right away it was evident that this book was going to be a bit of a slow burn rather than a fast paced thriller. Though I read it quickly, it wasn’t because it the story itself was fast, it was mostly because I had the time to read it. This was a book that I was able to savor rather than devour if that makes sense. I really really loved how the genres blended together in this one. There was historical fiction, mystery, a hint of romance, and magical realism. It literally read like a story passed down at a bar, which was an important part of the overall narrative. I was completely spellbound from the beginning of the book and now I can see why so many people love her writing style! This was so much different than Bellman & Black for me and I think this book redeemed her as a writer—at least in my book. I loved how she told a story within a story and added in such unique elements like folklore, fairy tales, and mystery to create this rich plot that just draws you in. I didn’t want to put this one down once I started it. When I started it, the first chapter was the set up and then before I knew it, I was sucked in—-just like a story told to a crowd, I was like ok what’s going to happen next! It was beautiful and interesting with so much to love. As a reader, this book had to pack a punch—-otherwise I don’t think I would have picked up any of her other books ever again—-if she wrote any more etc. This book hit all the high notes and made me excited to read The Thirteenth Tale, where as before I was kind of on the fence about it. This was a uniquely memorable story and one that I won’t soon forget. I don’t want to give too much away for anyone who wants to read this book. It’s something you need to experience, not something that you can even being to summarize and review—-it’s truly an experience that a reader needs to have. If you are at all on the fence about this one—don’t be. Move it up to the top of your TBR list immediately! Everyone I know is getting this book for the holidays! I loved The Thirteenth Tale but haven’t read Bellman and Black. I just got this one as an ARC though, so my goal is to try to get to it in December! Thanks for your honest and thorough review. That super helps me get in the right mindset for it before starting! Hallo, Hallo – were you on the publisher’s blog tour? I would have listed your review if I had known? 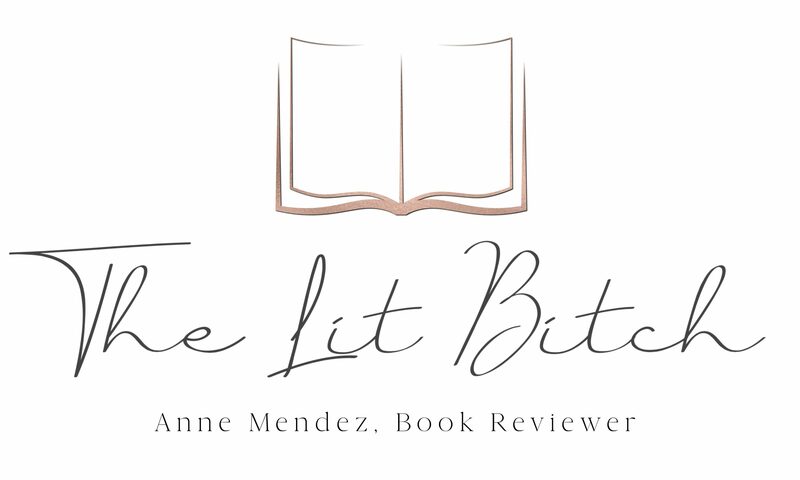 I was seeking out bloggers who were reviewing this novel when my review stop came along – but I was struggling to find the tour badge on the blogs! I also saw they ran a UK tour the same weeks we were having ours stateside which I think for me at least is what was causing a bit of the confusion as well! Similar to you, I agree about the slow pacing of the story-line – however, the main character for me who stood out was Rita Sunday; in fact, I talk about her quite a bit on my review! 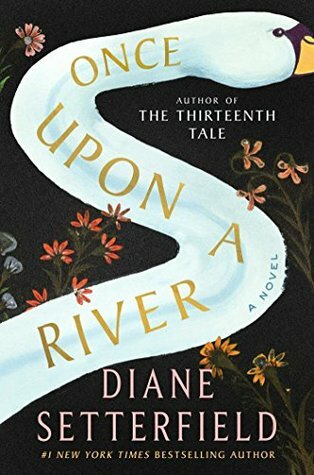 lol I’ll keep the suspense for you until you can visit me (my review of ‘Once Upon A River’) as I had quite a heap to say about the novel! I was thankful I spent time during #Mythothon discovering Mythos in Fiction as it provided the best route into this novel as I was already peppering my reading life with stories which were happily genre-bent! Ooh! Speaking of things – did you get the chance to listen to a bit of the audiobook version? Ooh my goodness!! The narrator’s voice really resonates well with Setterfield’s style! I also forgot to mention I have a copy of “Bellman & Black” – its packed away, one of the novels I’ll be unpacking & reading during  which has been on my TBR for so long now! I never had the chance to try “The Thirteenth Tale” either – maybe we should try to buddy read that one? Just a thought! Drop by and let me know if some of my thoughts differed or matched your own. I love how we are bookish twins; if you consider most of what your reading and what I’m about to read or have read are identical selections! !